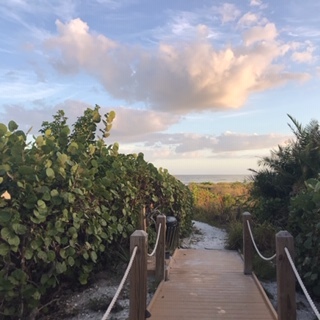 One week ago, I was on the beautiful island of Sanibel on Florida’s southwest coast. Traditionally a November birthday in New York means never waking up to sunshine, 80 degrees and palm trees swaying in the winds. The days have been more like today with barren tree limbs, snow covering the ground and 30 degrees at best. I was fortunate my husband and son had an extra week of vacation time to spend somewhere and I was asked to go. As my birthday arrived, my guys asked me what I wanted to do to celebrate my day. 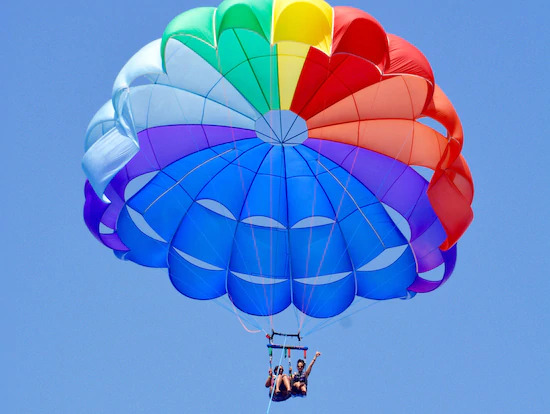 Being the adventurous soul I am, I told them I wanted to para-sail high in the crystal blue sky above the warm waves in the sunshine. With hesitations written all over their faces, I soon realized they were afraid of heights. I tried for an hour to convince them we’d be safe if we went. About an hour later, I realized the plan would have to change if I wanted to include them in my fun. After fifty three years on earth and twenty three years running a business, I know for sure you don’t always get what you want when you want it. Patience, opportunity and understanding are traits we embrace from the time we are born and when we give birth to our companies. Nothing works on our desired timing alone. We must compromise, adjust and re-route ourselves if desired outcomes aren’t occurring. Basically we must pivot. 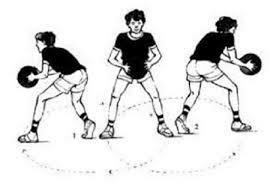 I learned of the word “pivot” in basketball when instructed to keep one foot on the ground without lifting it, but turning my body in the other direction to make something happen. Pivot is a perfect action for women entrepreneurs. When we don’t get what we ask for, we have to pivot to make something still happen but typically by going in another direction. We aren’t giving up our game, but shifting the route. Today’s Wednesday Wisdom is to remember if you cannot get what you desire in business today or this year to ask yourself what can you do to pivot in a new direction with your feet still planted in your mission? To pivot you must stay grounded but turn another way to produce new or better results. If you are stuck ask yourself, “What do I want and will pivoting help me achieve what I’ve been waiting for?” Remember your ‘foot’ aka ‘mission’ stays in place but you rotate or move in a new direction. 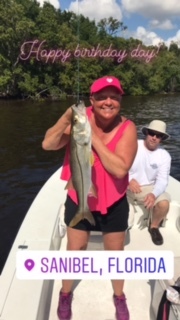 On my birthday, I pivoted from going parasailing to sea fishing and caught a couple big ones to prove to myself and the three guys on the boat that women are adventuresome and willing to change course. I can tell you one thing, I am so glad I pivoted.